The hot topic in my world this week has been the word (or should I say, non-word) irregardless. On Tuesday I had an article that I wrote on word stress published in the Recruit section of The Straits Times newspaper. Usually these articles bring some nice publicity, but this time, the editors made some terrible changes to my original work and made most of the mistakes in their writing (which now looks like MY writing) that I always teach people to avoid! One of those changes was inserting the (non-) word irregardless. I mean really, even a spell check in Word will highlight that error! When I changed my Facebook status to reflect my unhappiness with the vandalism of my work (especially the insertion of irregardless) I was surprised by how many messages I received from friends saying "Thanks for making that clear," "I hear people saying that all the time!" and "You should teach this stuff in America!" I knew that irregardless was a normal word in the Singapore vernacular, but wasn't aware of how wide-spread it is other places. After a bit of research on the subject, I've actually learned (as stated in Adam Brown's Singapore English in a Nutshell) that the word irregardless is listed as a word in the American Dialect Dictionary and was recorded in western Indiana in 1912. He goes on to explain that the Merriam-Webster dictionary notes that most Americans agree that "it is not a word," but many continue to use it anyway! So let's set the record straight. What is it about this word that gets everybody so confused? Let's start with the base word, regard. 1.having or showing no regard; heedless; unmindful (often fol. by of). 2. without concern as to advice, warning, hardship, etc. ; anyway: I must make the decision regardless. We use the word regardless to describe an action or mindset that does not show thought, attention or concern. It's an action taken without regard. The suffix -less negates the noun, regard to show this meaning. So what's wrong with irregardless? In English, the prefix ir- is also used to negate the meaning of words, for example revocable and irrevocable. By adding ir- to regardless, we actually form a double negative. It's like saying, "not without regard" or in other words, "regard." Get it? Where does irregardless come from? The best guess is that people are confusing irrespective and regardless, which are two words with basically identical meanings. Somehow the ir- from irrespective gets thrown onto the beginning of regardless, creating the non-word. "I hear people in conversation using this 'irregardless' word, oblivious of the fact that the past tense of 'respective' is 'irrespective.' But the past tense of 'regard' is not 'irregardless' but 'regardless'." Although he is correct about the non-word irregardless, his reasoning is not at all correct. Only verbs have tenses and respective is not a verb, but an adjective. Regard can be used as a verb, but in that case, its past tense would not be regardless, but would be regarded. I think that the reader meant to explain that the negative form of respective is irrespective, but the negative form of regard is not irregardless, but regardless. Seeing how confusing this regard/regardless/irregardless issue can be, why are people using the word regardless at all? It's long and gets even more complicated when we have to add the preposition of. Here's an example of how we can remove the word from our vocabulary and speak more simply. Regardless of what you think of this word, take it out of your vocabulary. No matter what you think of this word, take it out of your vocabulary. How widespread of a problem do you think this is? Do you hear people use regardless and irregardless interchangeably? Share your stories and opinions in the comments! Speech Training: Say it Right! Article in The Straits Times Today! When I bring up the topic of word stress to a group of Singaporean professionals, I’m usually met with blank stares. Word stress plays a minimal role in Singapore English, but an enormous role in the intelligibility of your English when speaking with people internationally. Don’t know what I’m talking about? Let’s look at a simple example. The word calendar can be broken down into 3 syllables: cal-en-dar. Of these three syllables, one is stressed more than the others, meaning it is said louder, longer, at a higher pitch, and/or with a purer vowel sound. In this case, the stressed syllable in Standard English is the first one: CAL-en-dar. Over time, and due to other language influences in Singapore, this word stress has shifted to the second syllable. It is very common to hear calendar pronounced as cal-EN-dar. This pronunciation has little resemblance to the standard one that many international visitors to Singapore learned while listening to British English recordings during their English as a Foreign Language class. If people don’t seem to be responding to what you say, it could just be a simple problem of word stress. Two-syllable words surprisingly present some difficulties. These words are so short it’s amazing that a simple shift in word stress can make such a huge difference – but it does. Most two-syllablle nouns and adjectives have stress on the first syllable. 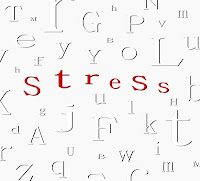 In Singapore however, this stress is often moved to the second syllable, or both syllables are given equal stress. Some words I often hear in Singapore are collEAGUE (instead of COLLeague) and purCHASE (instead of PURchase). This pattern of word stress is so ingrained in Singaporeans, many will fight me on this point until they are blue in the face (if we don’t find a dictionary before then). And it’s not just Singaporeans! One of my clients, a non-Singaporean and non-native English speaker, told me he had been busy writing up purCHASE orders. When I corrected his pronunciation, he resisted and said that this time I was definitely wrong. I asked him where he heard the word pronounced this way, and when he said, “From my collEAGUES!” I realized we had a larger problem on our hands! As if things weren’t complicated enough, two-syllable nouns, when used as verbs, shift their stress to the second syllable. The majority of nouns that also have a verb form (e.g. : progress, present, object, produce, record) will be stressed on the first syllable when used as a noun, and the second syllable when used as a verb. Take for example the word progress. Watch how the stress changes depending on how the word is used. Unfortunately for us, there are many exceptions to this rule. Some words will remain the same (keeping stress on the first syllable), such as answer, picture, travel, visit and several others. Words with several syllables can be even trickier than their short, two-syllable friends. We saw stress shifting with these words when they changed from noun to verb form. Mult-syllabic words can shift their stress based on word form as well; there just aren’t any hard and fast rules governing the process. Take the word economy for example. This is a good one for our trying times. Make sure that when you talk about the ecoNOMic crisis, that your pronunciation isn’t in crisis! The stress should be on the third syllable, not the second. Words like PHOTograph and phoTOGraphy are similar. So, how are you supposed to know how to stress a certain word? Luckily for us, online dictionaries usually have a recording you can play so you can hear the proper pronunciation. If there isn’t a recording, or you’re looking up your word in a real dictionary, there will be a short vertical line just before the syllable that takes the stress. If you had never heard about word stress before this article, please don’t get too stressed out! Think of word stress as a tool in your arsenal against misunderstanding. If someone is having trouble understanding you, pay special attention to how you are stressing your words. Sometimes it isn’t what you say, but how you say it that matters!